Marly Mathews: Author Chat at RWA Online, Friday, October 5, 2007! Author Chat at RWA Online, Friday, October 5, 2007! It’s that time of the month again…time for our new releases chat! Woo-Hoo! This month our new releases chat will be on a Friday night. Set your reminders for Friday, October 5 from 9pm EST to 10pm EST. 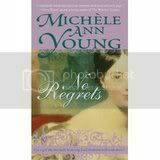 This month we will be chatting with Lyn Cote and Michele Ann Young about their newest releases. 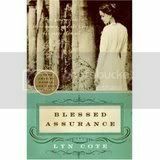 Lyn will be chatting about Blessed Assurance, and giving out a giftbasket of soaps, and Michele will be dishing about No Regrets! Come and join us for the fun! Click on the sun flowers below and they will take you to our public chat room!